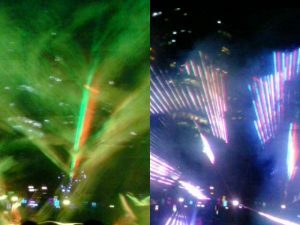 Ayala Triangle's Festival of Lights 2016 | JustRunLah! Imagine an evening run amidst lasers and millions of LED bulbs! 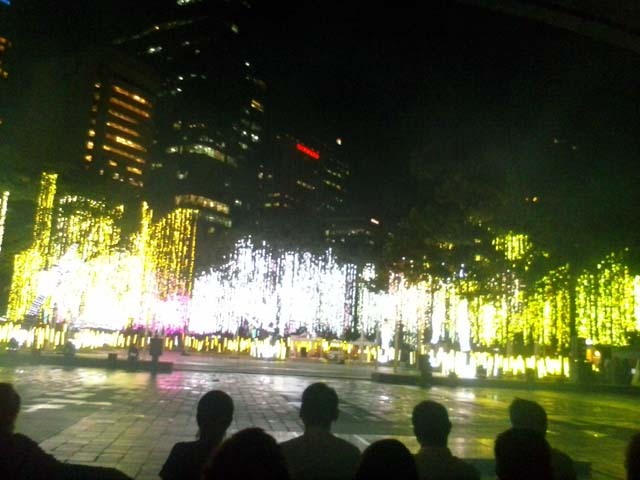 MAKATI CITY – The annual tradition continues as Ayala Triangle Gardens’ “Festival Of Lights” is now in full swing everyday from 6:00 PM to 10:00 PM. The enchanting and gripping light and sound display will run until January 8, 2017. Ayala Triangle is a popular running hub in the city known as the Philippines’ financial district. 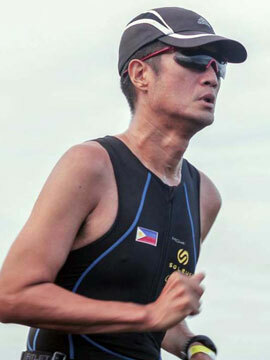 A lot of employees troop there for a quick jog before or after a day’s grind at the office. Just like last year, the audience will be treated to a random selection among three different sets every thirty minutes. The show is directed by Voltaire de Jesus and Lito Gumia with musical scoring and arrangement by Jazz Nicholas and Mikey Amistoso of Watusi Manila. The first medley is inspired by the Fiipino Christmas fiesta with familiar local carols arranged to a fast beat ala the Rio carnival. The next medley is culled from music of classical and heroic films while the third is all about Disney, a sure treat for the kids and the kids at heart. An innovation this year is the introduction of LED lights coming from the ground as compared to before when the lights simply hung from the trees. A smoke machine and laser lights make for added special effects. The Festival of Lights has been cited by no less than travel authority Conde Naste as among the seven Most Spectacular Lights in the world. Aside from the 20,000-square meter garden, major thoroughfares in the Ayala Center have been decorated with lights and other Christmas paraphernalia while other Ayala Malls throughout the country will have their own lights and sounds shows. A 56-foot Christmas tree will be erected at The Circuit coupled with a bazaar from November 18 to 20, 2016. The same venue will host the Makati Inter-High School Chorale competition on December 19. Meanwhile, daily thanksgiving masses will be held at Ayala Triangle from December 15 to 23 at 6:00 PM. The Gourmand Market will also set up shop from December 9 to 11 to give the public the chance to savor their gastronomic delights. The Festival of Lights is presented by Ayala Land with co-presenter Hong Kong Bank (HSBC). The show is also made possible with the help of MasterCard, Coca-Cola, Sun Life of Canada and Oishi.